The MPG actively supports Olga Fitzroy’s campaign to secure equality for the terms of parental pay in the UK. The campaign wants the Government to change the law so that Shared Parental Pay is available to all self employed people. The petition (https://platform.organise.org.uk/campaigns/shared-parental-pay-petition) aims to gather public support for a change to the eligibility criteria for statutory Shared Parental Pay (ShPP) so that it includes self-employed people. Once completed it will be presented to Justine Greening MP, Minister for Women and Equalities and Margot James MP, Minister for Small Business, Consumers and Corporate Responsibility. 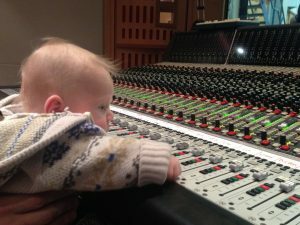 Both the Music Producers Guild, of which FitzRoy is a member and an MPG Award winner, and UK Music are supporting this campaign as the current regulations are a barrier to women maintaining freelance careers in the music industries. “Our research shows that the rigid system of Maternity Allowance is detrimental to families and businesses, and in 2017 we cannot expect all the childcare in a family to be automatically done by women,” she says. Require companies to report on how many flexible working requests are made and how many are granted. Give fathers access to six weeks non-transferable paternity leave paid at 90% of salary. 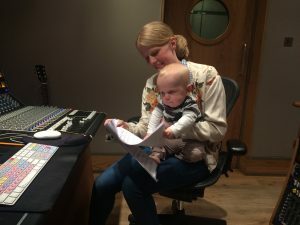 The charities, Working Families and the Lullaby Trust are supporting the march, and famous faces from the worlds of music and film are expected to attend.